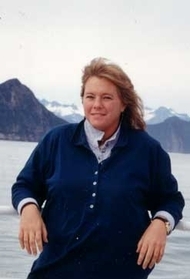 Debbie joined Century in 1984 to see the world and share her passion for travel with others. As co-owner, Debbie is committed to helping Century develop and maintain lasting relationships with valued clients and trusted suppliers. Handling background operations as well as the financial and business development aspects of the agency, Debbie strives to provide and maintain access to the highest quality products and services for Century's creative team of consultants. A graduate of Westlake High School and the University of Texas at Austin, Debbie now lives in SW Austin with her partner of 32 years and their teenage son. Cruising is one of Debbie’s favorite methods of travel. A few favorite domestic destinations include Alaska, Colorado, New York, and Hawaii. Some international favorites are Costa Rica, England, Switzerland, Germany, and Italy.